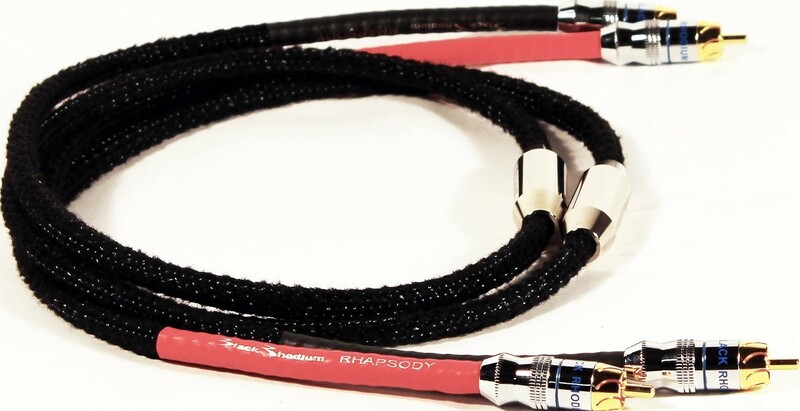 The Rhapsody interconnects are defined by vibration stabilisers and silicone rubber insulation to ensure a clean and intricate sound performance, available in 0.5 and 1.0-metre lengths. 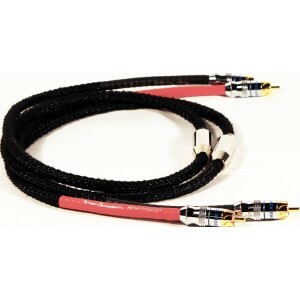 Black Rhodium Rhapsody RCA Interconnects showcase vibration stabilisers and gold-plated RCA connectors to bring high-end cable technology to a wider audience. Hand-crafted in the company's Derby base, the Rhapsody encapsulates Black Rhodium's pioneering design ethos. The RHAPSODY stereo interconnect applies the musical enhancements of the GN LEGACY VS-4 Vibration Stabiliser to the very popular TWIST VS-4 loudspeaker cable. The vibration stabiliser reduces pesky audible cable distortion in by lessening the effects of vibrations passing through the conductor wires which can negatively affect your music. RHAPSODY delivers a super fast and sharp music with more organic decays as the notes fade. RHAPSODY stereo interconnects utilise silicone rubber insulation due its low dielectric loss. Additionally, the silicone rubber's absorbently soft nature absorbs mechanical vibration in the cable cores and lessens the audible distortion in the conductor wires. Gold plated connectors ensure reliable use while the ‘hourglass silhouette’ plug cover design enables easy entry and removal at the back of amplifiers and source equipment.